Jac o' lyn Murphy: 4th of July Invitations...Get ready to TIE one on! 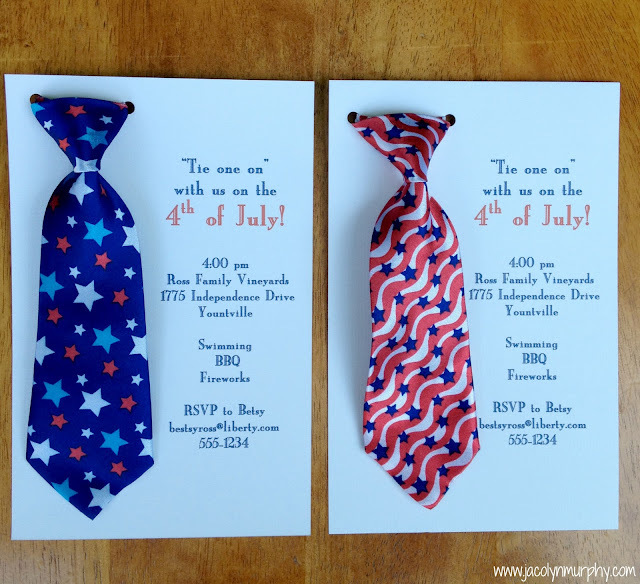 4th of July Invitations...Get ready to TIE one on! 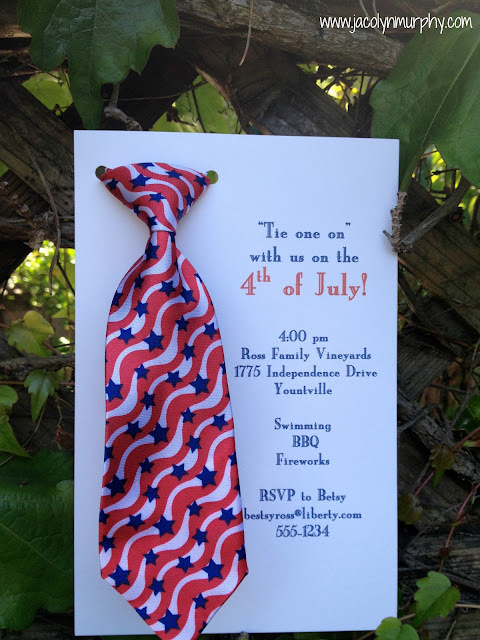 Do you realize that the 4th of July is less than a month away? 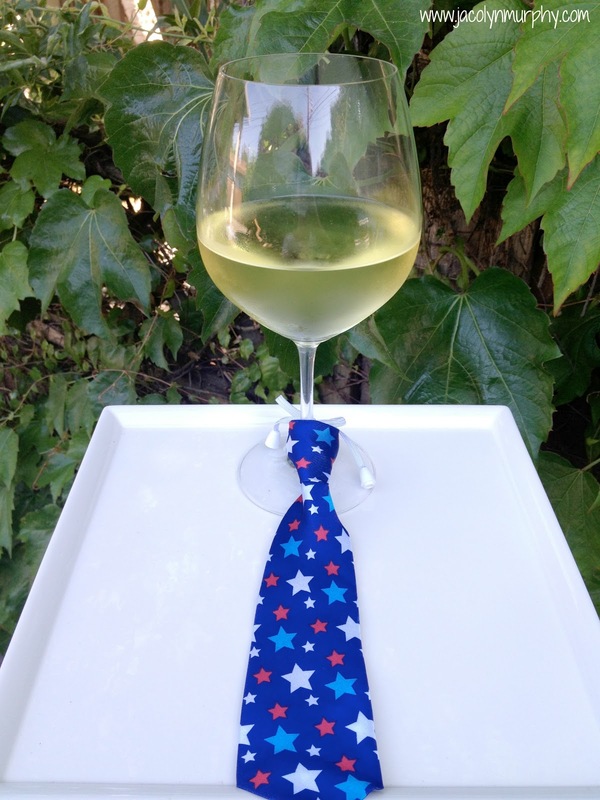 "TIE-ing one on" in the Napa Valley. Those are the cutest ties! 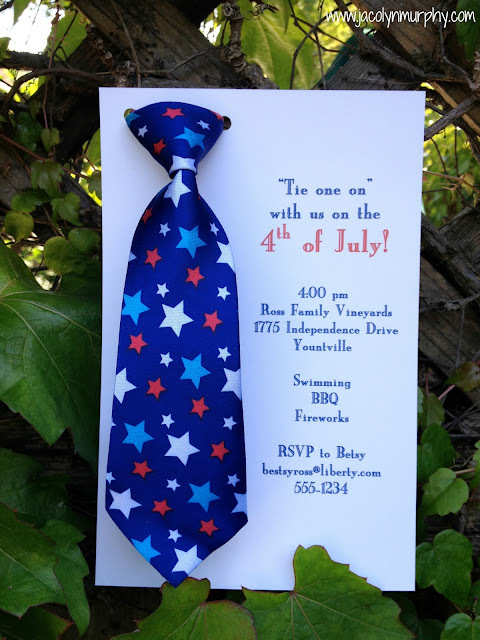 Love the tie! That idea would work so well for a number of different parties! So cute! I featured you today on my blog. Feel free to come over and grab a "featured" button on the right hand column of my blog. Thanks for sharing in the Ginger Jamboree!